There have been 119 images uploaded to this topic. (View topic image gallery). There are 542 posts in this topic. You are on page 1 of 11. Years ago, when these protectors were first announced, I was sceptical. What's the point of those? In 2013, I visited a large collection in Germany with 300 machines, and I was amazed by the clear coat finish he had on some of his machines. They looked like liquid glass. Turns out they had the lexan protectors fitted, and his machines were the test beds for them. My opinion was turned around. I finally got around to ordering 3x protectors for my older machines. I chose pins that had sunken or dished inserts, as this is where I see the protectors having great value. Case in point, my Firepower. Very good condition except for the dished inserts. 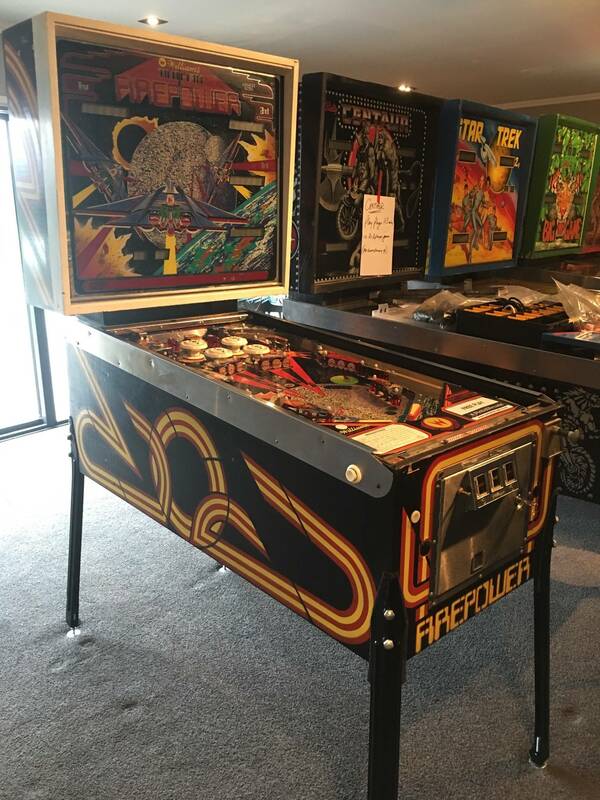 From my point of view, it's not worth paying $1200 USD for a repro playfield (if you can find one..) and shipping it to NZ. That's like $2000 NZD for the playfield, (let alone fitting it) and the whole machine isn't worth much more than that. So we will fit the protector to this machine in this thread. The protectors arrived packed flat in sturdy cardboard packaging. Here you can see the Firepower. It's a very tidy original machine. Except someone decided some white paint on the headbox would match their interior decor better. The inserts are dished, and there was a little wear around some inserts and on some of the red lines up the centre of the PF. I touched those up as good as I can. The other good aspect of the protector is that it protects the repair work so you don't need to Mylar over it. The machine isn't much fun to play like this. Very clunky and the ball is hopping around a lot. Errgggggg. Installation varies from machine to machine. In the case of the Firepower, it was very simple. Here is the protector sitting in position. Shout out to Warwick who was helping me out on Sunday. He took off the ball guides, the pop tops, the centre lane guide where the target is, and also the spinner and both Top ball gates. Probably only 20 mins to get it all prepped up. 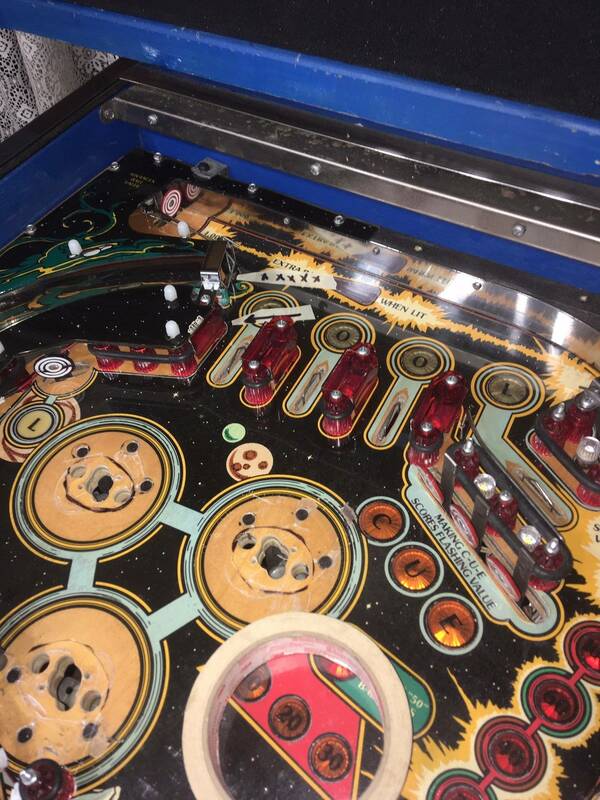 First picture shows the protector lying on the full playfield (to see what needs to come off), the second pic shows the playfield stripped and the protector in place. Lastly, the protective cover is taken off the lexan, and it is put in place. All the removed items are reinstalled. Check out the magical new high gloss finish! Looks great! I thought about doing this to a machine or two. I'd like to know how well it holds up to scuffs and scratching over time. I just installed one on my Firepower yesterday as well. These are perfect for older games with insert issues. I installed the older V1 style on a HS2 that had raised inserts and had it on for about a year before I sold it and it held up great. 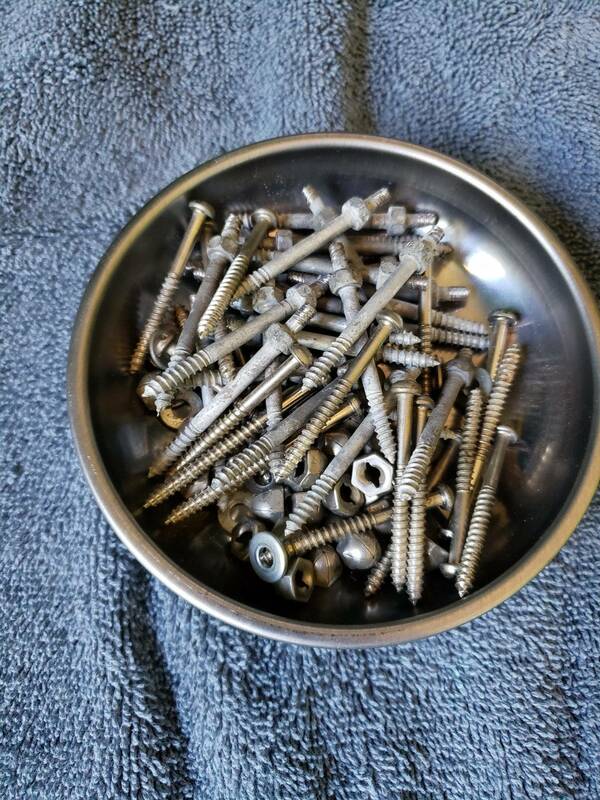 If you change your balls regularly they will not scratch or get beat up. Thanks for posting this, especially for Firepower, I'm sold on it. Even if you couldn't polish the protector if it became scratched over time & had to replace it (worst case scenario) a few years down the track, it's still worth it. I'm sure if the balls were replaced semi-regularly & the protector waxed or cleaned with Novus 1, it would stay shiny for years. The best part is the playing. The difference between "original" and "protector" really is night and day. The ball glides over the dished inserts. The ball runs smooth and true. 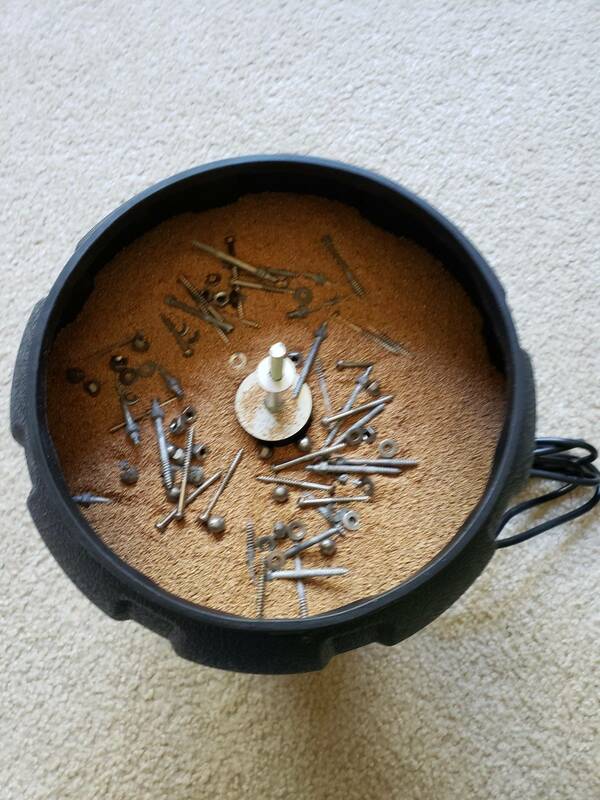 For this application, as a cost effective solution to dished inserts and an improvement in playability, I heartily recommend the product. These new ones are only 0.5mm thick, yet they are pretty stiff. Re the scratching, they say this new material is very scratch resistant. I can't see it being an issue unless you had scabby old balls (ouch!). Always have nice balls! (That's what she said ...). Hope all that was interesting and helpful! Nice review with nice pics. I'm definitely a believer in these. I have made two and I'm fixing to make #3 shortly. Thanks for posting this rotordave. I'm wondering if the protector would work in a game like BSD with Mist MB. Hmmmmm ... I would think it would. However the manufacturer would know, if they didn't work with Mist MB, the customers would soon tell them! I had one on my bsd and it worked great. Nice review, thanks. 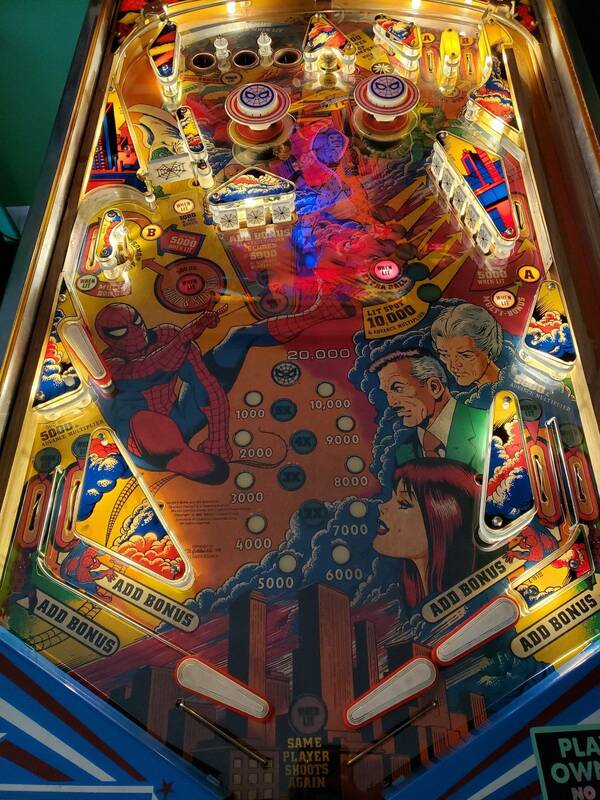 I was thinking about one of these for EATPM, but the playfield is just about flawless. I did this to my Skateball and LOVE IT!!!! I also had many potholes (sunken inserts) that would affect ball trajectory. 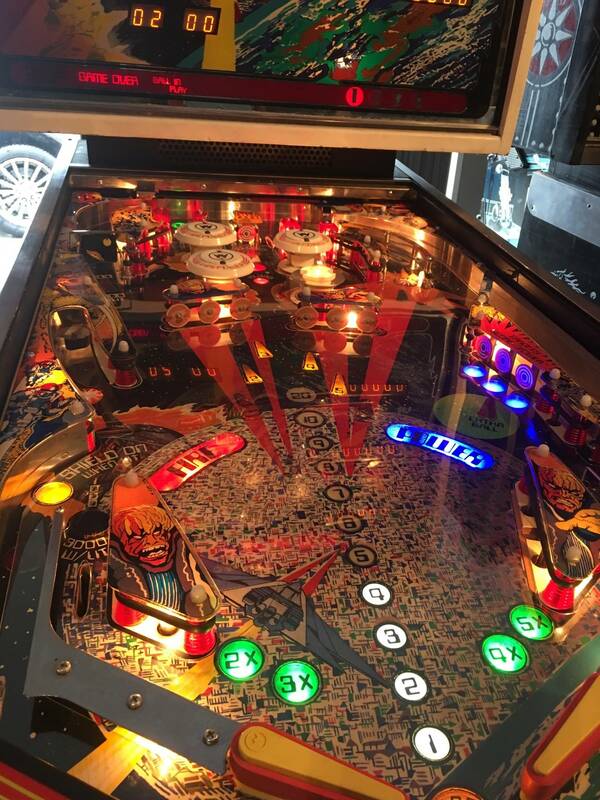 The only issue I have now is occasionally the ball will hang up on the lip of the protector by a star rollover on the upper left by the flipper if the ball is not moving with much speed. Other than that, it's like a whole new game. Bringing it to EXPO in a couple weeks for all to enjoy. Cheers, RD! Bringing it to EXPO in a couple weeks for all to enjoy. Cheers, RD! Good on you for sharing it with the masses! Expo looks like it'll be fun this year ... shame I'm not going up. I just bought one for my Paragon NOS playfield so it stays looking perfect. No reason not to give it a try. Thanks for sharing, this is the first I've seen of these. Is there an adhesive that keeps them in place or do they just lay flat and stay put naturally? 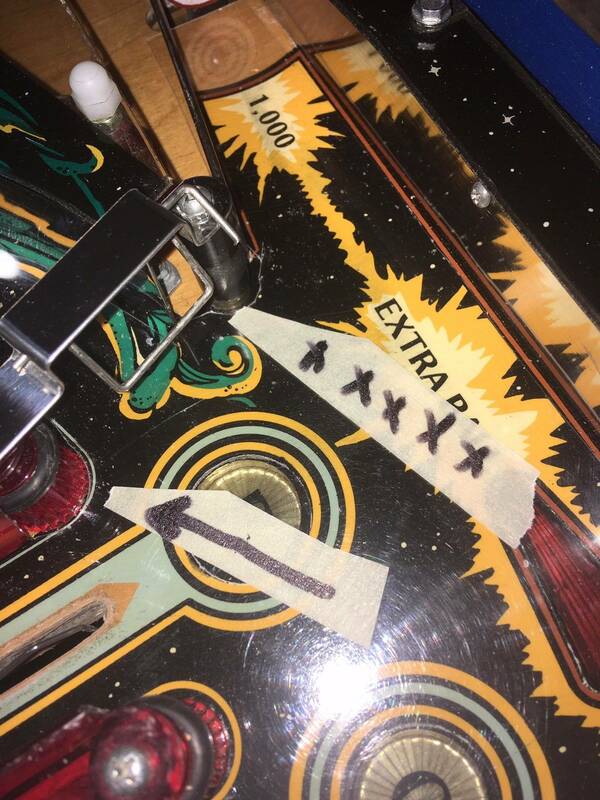 No adhesive, they just lie flat on the playfield. I've heard some people complain that these protectors slow their game down. Did you notice any difference? Thanks for the review Dave...I'd seen them advertising these on eBay, and have been um'ing and ah'ing about getting one for my GE. It looks great. Sold! I can't fathom how they'd slow a machine down personally. Surely a super smooth acrylic surface would allow the ball to glide smoother? Certainly none of the machines I've played with a protector has been slow. Very interesting. First I've heard of these, what's the cost? Indeed, no adhesive. They lie flat and are held by various things around the PF like star posts etc. Just for accuracy - these used to be made from Lexan - these new 0.5 mm ones are made from PET-G. I can sure vouch for the durability of the old Lexan protectors (had them on some of my machines for years - yes, nice shiny balls always). I'm thinking these PET-G products will have similar durability, but only time will tell. I only wish they made them for all of my older machines. Anyone use this to protect newer sterns? I wonder if it would be over kill on newer games. I put one on my T2 and hated it. Slows the game way down. And they are a magnet for dust, lint, dirt. They looks great, like a newly clear-coated play-field. But noticeably slows the game down. Mike, I wouldn't use them on newer Stern games. older ones maybe. Yes (Met). 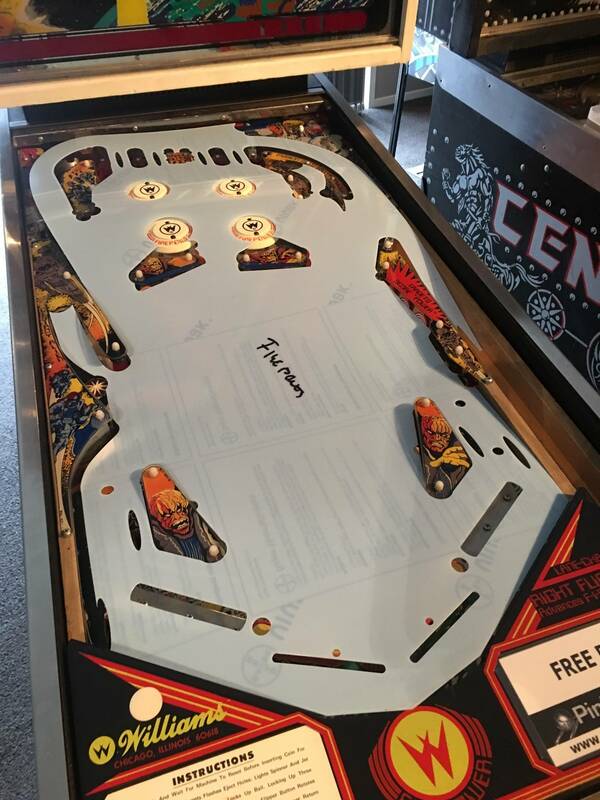 It eliminates playfield dimples and totally protects magnets. A little more difficult to install than on an old EM, but I think it's worth it. First I've heard of these, what's the cost? Got mine from Bay Area Amusements for around $119. 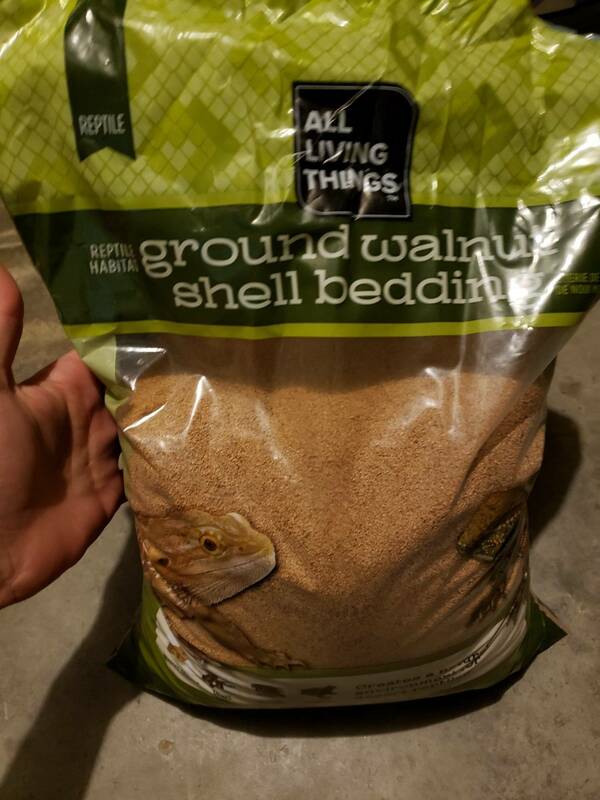 This looks like a great product. The one thing that really worries me is dust, carbon, and debris getting under the overlay. I don't think there's any way to eliminate it, but I would think it would inevitably happen which would drive me nuts every time I look down at it. Yes, you could remove the overlay every X amount of months and clean but that would be time consuming if you have quite a few games fitted with the overlay. Maybe replacing the ball(s) every few months would be enough to keep it at a minimum, just noticed several people mentioning this (in other threads too). I'll probably try one of these on a game that really needs it, this was just my main concern. I also know it would likely be tied to the amount of plays a game gets. If it's a game that gets played only a few times a month, it most likely wouldn't be a concern at all. A heavily played game I would think would have issues fairly quickly. The magnets work fine through the over lay? Yes, and I even have the thicker Lexan (.75 mm) type. Sparky magnet looks like it did on Day 1. I'm going to be installing one on an AFM I'm currently restoring. 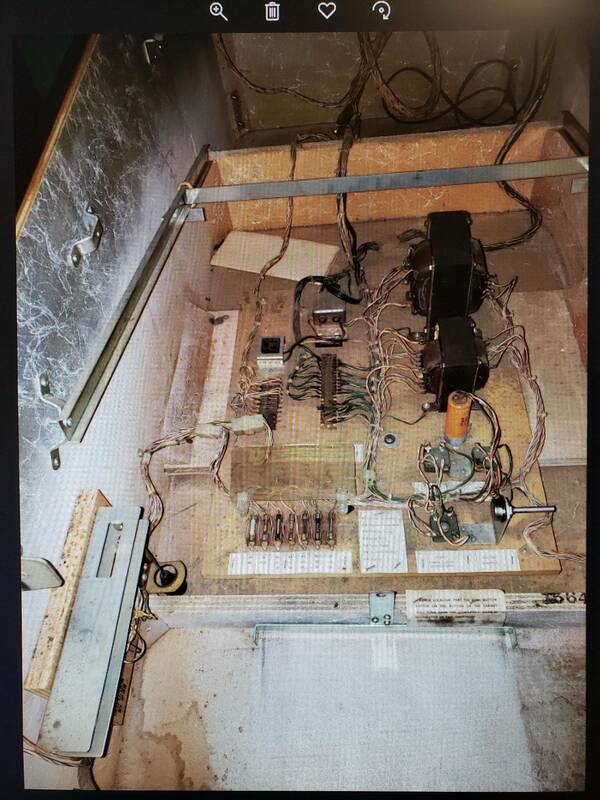 It's getting a new Mirco playfield but the owner wants installed anyway. He installed one on another newer game of his and says the playfield looks like new after tons of play. 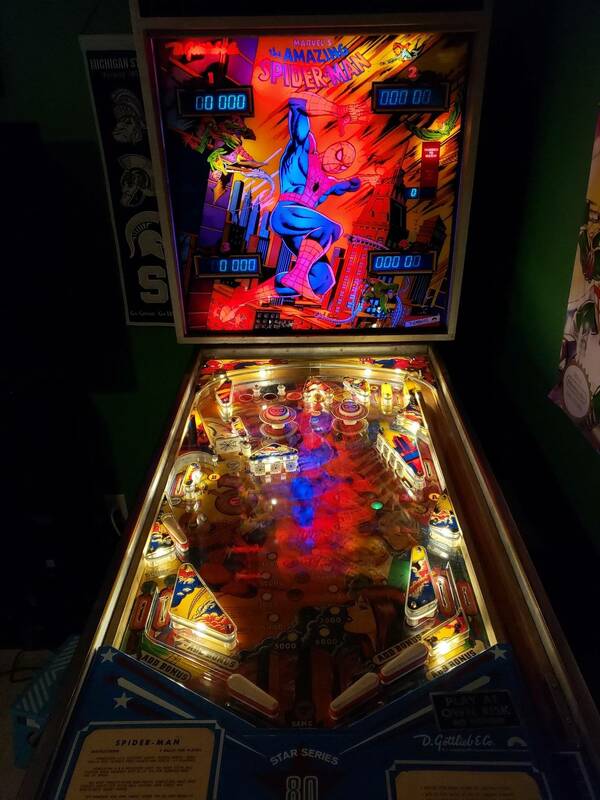 My friend installed this protector on his beautiful JM with clear coated playfield which he finished restoring last year. I played it before and the game played very smooth and fast. I recently played it after with this protector installed on the playfield and the ball felt noticeable slower. The game wasn't moved and pitch didn't change so perhaps he just needs to crank the back up a few degrees the ball does in fact roll much slower. I will admit that it looks fantastic and great that it is adding an additional layer of protection to the playfield but affecting game play is the real deal breaker for me otherwise I would put them on all my games. Just for accuracy - these used to be made from Lexan - these new 0.5 mm ones are made from PET-G. Yes the first generation (starting 2012/2013) was made from polycarbonate (macrolon/lexan). This year we switched to o "next generation playfield protector", which is made from copolyester (Vivak/PET-G). They were several reason... most importantly like said... thinner! Yes - everybody has her/his own impression. We cannot confirm whether it eithers speeds ups or slows down significantly. This is really depending on the particular machine, the particular setup. Small changes (pitch, readjusted flippers, ...) in the setup can have a huge impact - at least that's my personal experience. Not saying everybody has to like the playfield protectors, but they have some advantages The protectors aren't really a new product. The feedback we got was mostly pretty good. 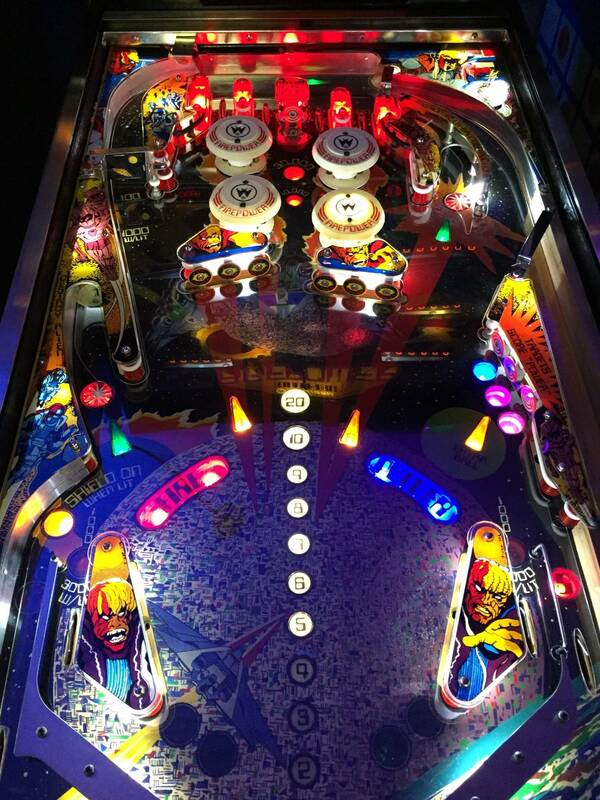 The playfield protectors JJP delivers (optional) on WOZ or Hobbit are also made by us. Again I can fully understand, that people don't like certain pinball "upgrades", especially if they significantly change the gameplay in their eyes. Personally - I don't like superbands - for the reason that they really change the game. I only wish they made them for all of my older machines. We are working on it - will take some time, but we also love not only DMDs but also early solid states and electromechanical beauties. Today we added Black Jack, Space Invaders, Pharaoh and Wizard!. Thanks for sharing this, never heard of the product. 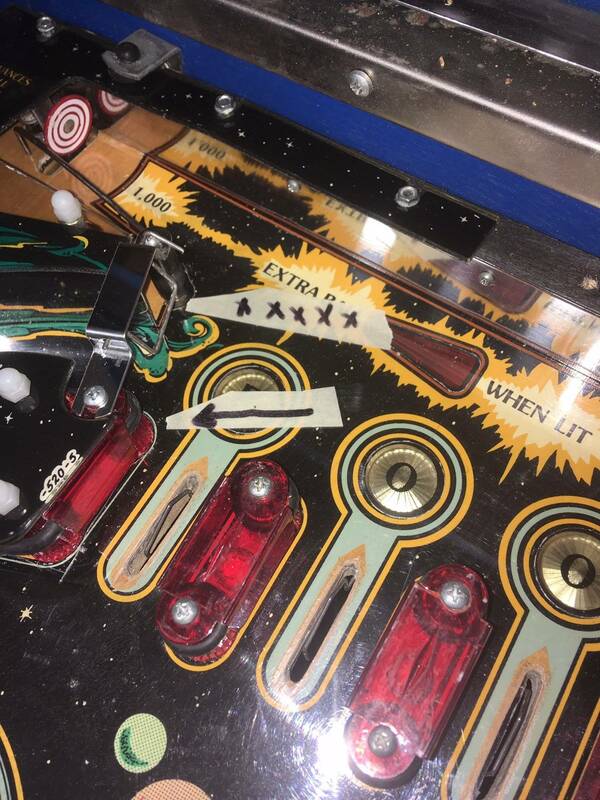 Is there any sort of guide on how what needs to be removed from the playfield before installing, or do you just feel it out after you see it? I have an EK I'd be interested in trying this on. 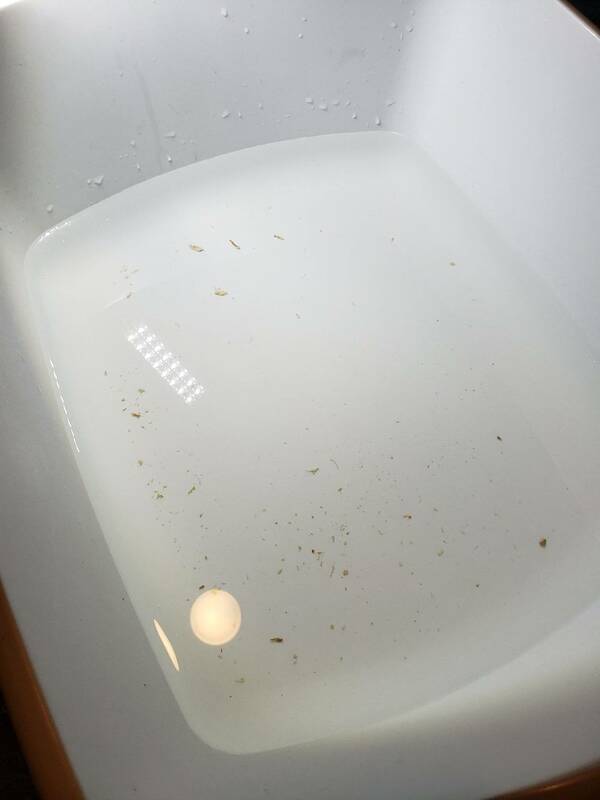 Also, how does this change the general cleaning process after its installed? Does it need to be dusted or waxed or wiped with a damp cloth from time to time? I ordered one of the new Lexan protectors for my IJA off of EBay. Unfortunately it arrived with shipping damage and I could not install it. The Playfield Protector people were extremely quick to help me get a replacement! Top notch customer service! That being said, I hope a US distributor gets the new Lexan ones. 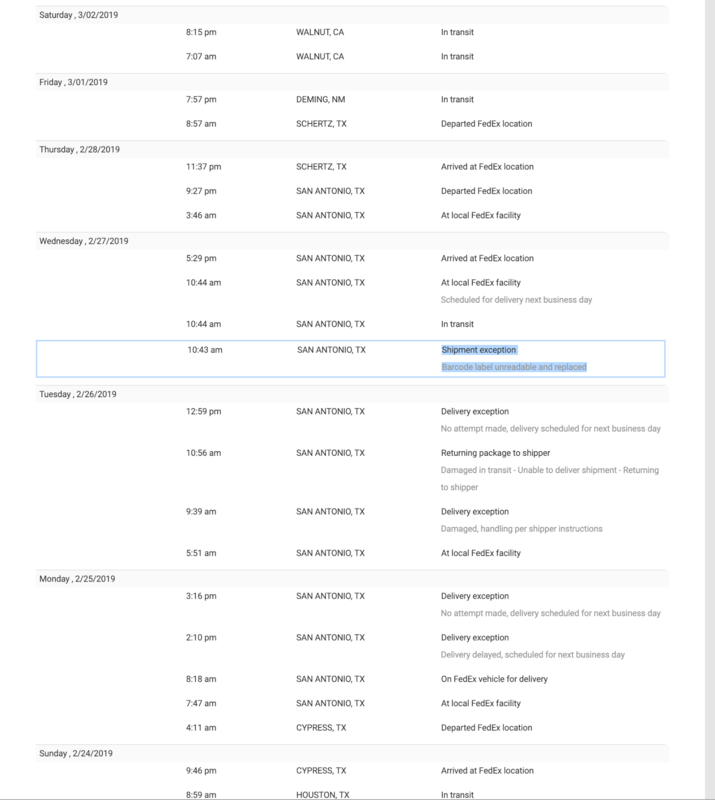 Shipping a thin, flat, lightweight thing is always gonna have a chance of crumple damage but having it be in transit for a month definitely increases those chances. Has anyone else who ordered direct from Germany had any shipping damage issues? I hope it was just some bad luck. My 3 (in one package) arrived fine. When you ship stuff, always the chance of some moron in the post office/courier company damaging something. In saying that, I ship stuff from all over the world (including pins) and haven't had any damage as yet. Touch wood. 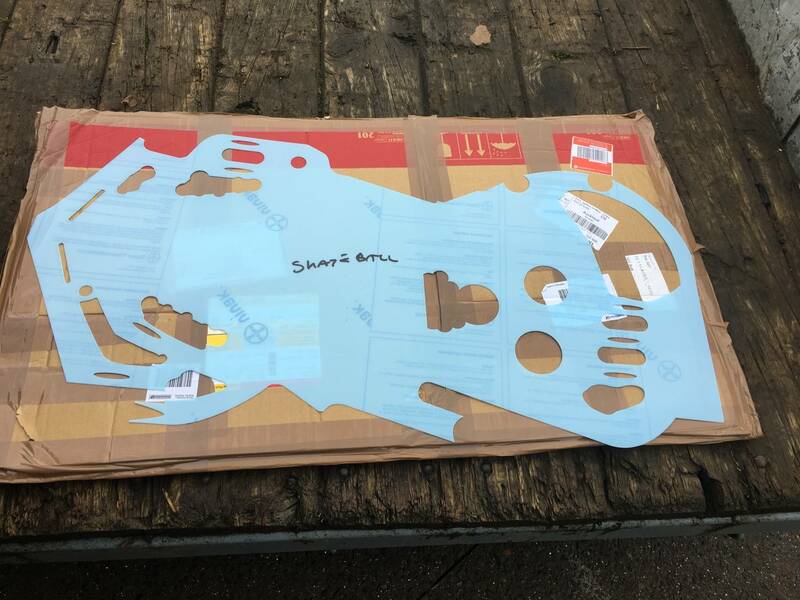 My package literally had a huge foot print on it, and the Lexan was all warped and bent there. But yes, they were awesome in helping me address this issue! Did it really take a month to arrive? Bay Area amusements has most in stock. It's $119 and you don't have to wait for a package from Germany. Mine arrived in NZ in 2 weeks, so if it takes any longer than that you may want to talk to your post office. You have to remove the flippers and the most of the plastics. If there are gates, spinners, ramps, etc. - they at least have to be partially removed. We recommend a clean up, new rubbers and new balls... adding a protector on an early solid state like Evel Knievel may take an additional max. 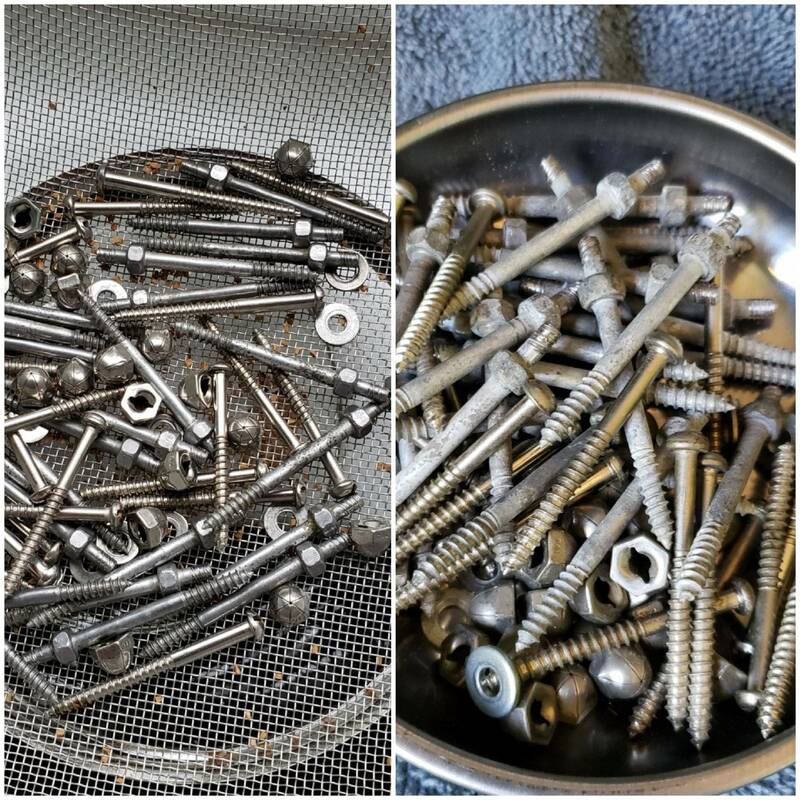 30 minutes compared to changing rubbers and a clean up. 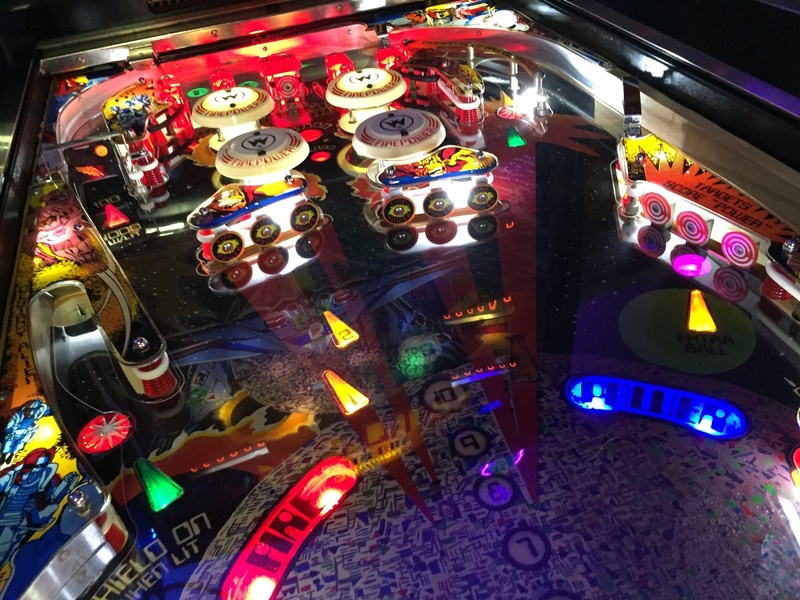 Modern DMD pinball machines need more attention. 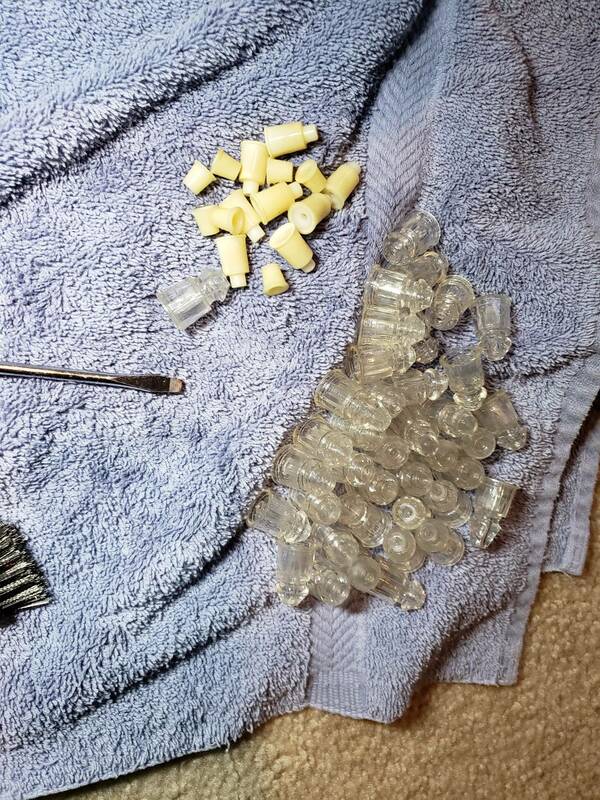 Cleaning a protector is similar to clean the playfield, so you can use your "standard" cleaning material. Novus 2 can help with small scratches. 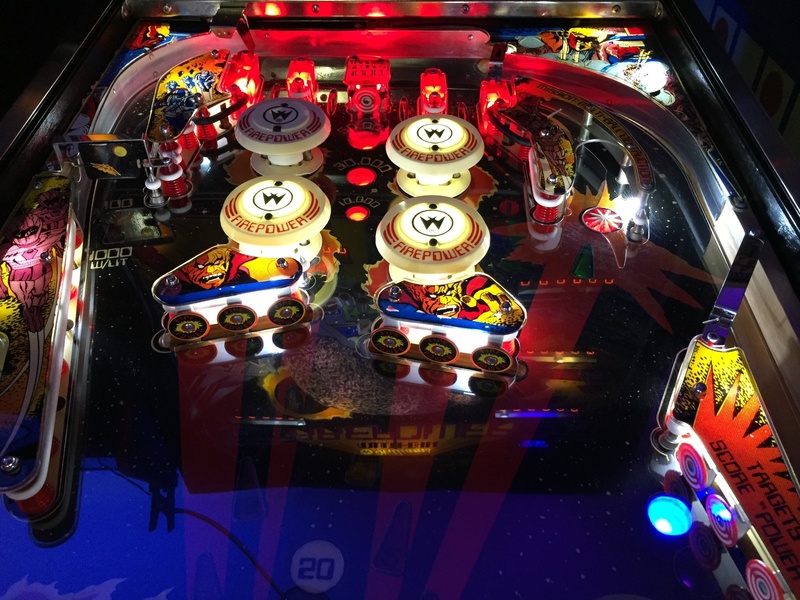 And if you want to speed up the playfield, use some wax like Millwax. But you will need less wax than on the playfield. It should take 5-10 days (express is possible, but expensive). If it takes longer, please let us know. In general - if there a damages or whatever issues, please let us know. We will find a solution for this. With our Next Generation Playfield Protectors we started to ship worldwide. This is partially due to the fact that not all of our international partners have neither our complete portfolio listed nor anything they listed in stock. 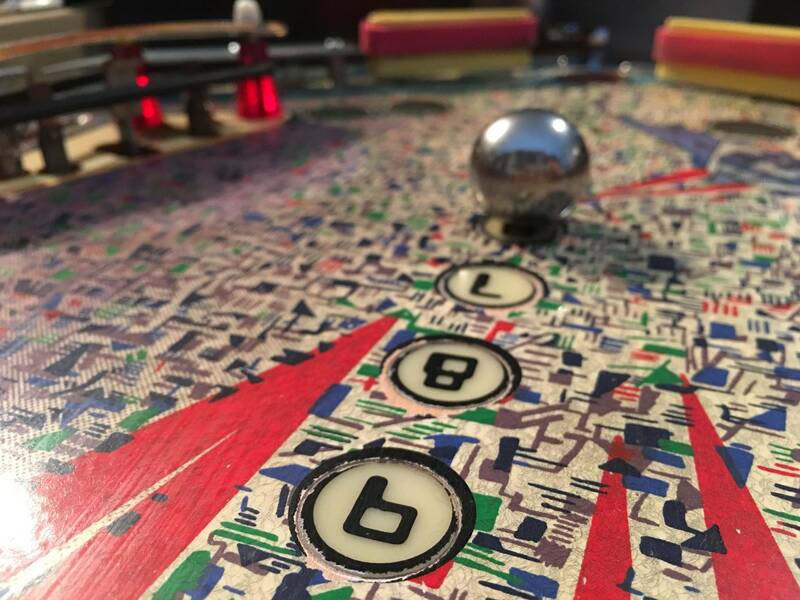 We understand this because our portfolio really grew in the past years... playfield protectors for more than 200 pinball machines, plastic protectors for more than 100 pinball machines, clear plastic sets for more than 60 pinball machines and other useful stuff. Do you guys take requests, or was the list built by pure randomness? 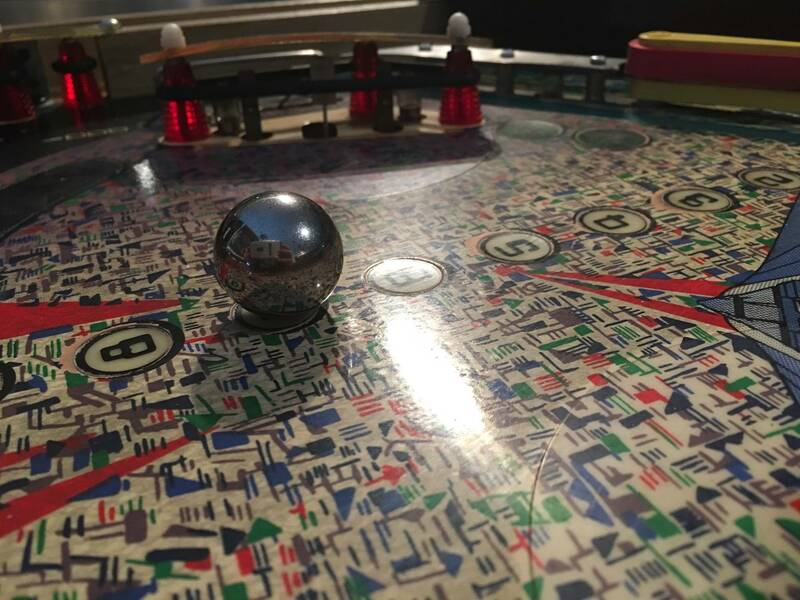 I have a mint 1969 Gottlieb Spin-A-Card playfield in my equally-mint game and I have really been looking for one of these for it for a long time and would love to see it done sometime, along with 1968 Gottlieb Domino. Both don't have any insert issues but are just really nice and I would like to keep them that way while still playing them a lot. Can't wait to meticulously clean (in this case, "get ready"!) without the "Why bother with making it 110% perfect? It's gonna be dirty again soon!". 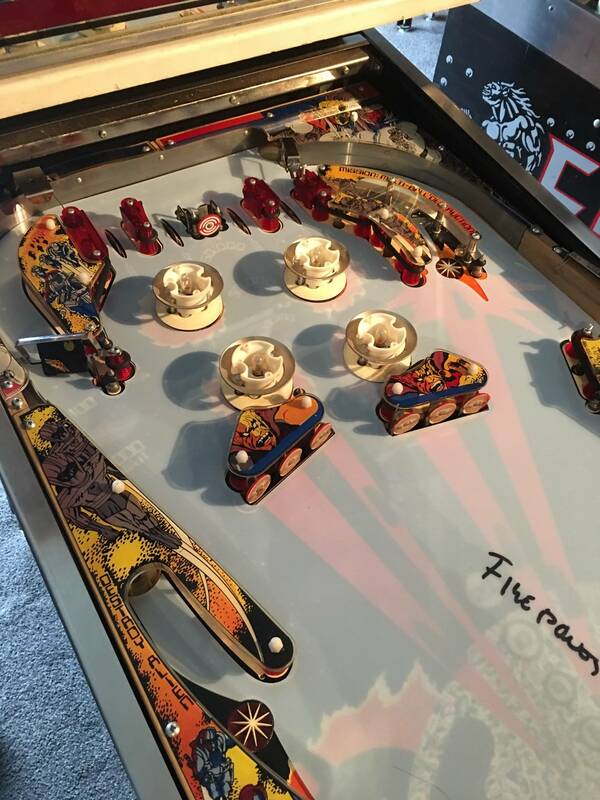 I was thinking about one of these for EATPM, but the playfield is just about flawless. Seems like an even better reason to me. Sounds to me like a very good plan indeed, especially since I need one! I ordered one and it was rolled up in a tube, it did lay flat out of the box but the shipping box was damn near destroyed sent from Germany, I really don't know how it survived.